The Mobile World Congress is always an interesting forum to see what emerging technologies are the focus of some of our biggest tech players. It's also a good indicator of what technologies will influence our workplaces over the next few years. Wearable tech and VR will be coming to a workplace near you soon if they are not there already. You may have noticed your colleague has a fitbit or a wearable tech device. That device is likely to be reminding them to get up and stretch every so often or to drink some water. With great wearable tech however comes great risk and responsibility. One of the major risks being corporate espionage. Employees remain and always will be the greatest cyber risk for business whether there is malicious intent or simply inadvertence involved. To give an example - an employee has smart glasses and brings them to the office. Those smart glasses are connected to his smart phone which is connected to the business network. The employee's bluetooth could be intercepted by an outside person and ultimately the business network compromised. Nothing malicious intended by the employee and in fact no one may even know the breach has happened. Smart watches and glasses could record meetings or screen images that contain your business trade secrets and confidential information. Technology makes it easier for people to walk out of your business with your information. Exit checklists, information security training and IT protocols should all be updated to take account of the increasing rise in wearables in the workplace. Despite the risks there are of course major benefits including increased productivity and functionality. Think about a dentist being able to view data through her smart glasses while keeping her hands free to perform the dental treatment. Google glasses already have a use in the US for doctors accessing patients electronic health records. Think of the risk reduction potential for health and safety issues. Sensors and analytics could be used to warn construction workers or those working with chemicals of potential dangers in a specific location. Risks can be mitigated as long as businesses start thinking about tech issues before implementation and start carrying out risk assessments of the tech their employees use on a daily basis. Your biggest cyber risk is the walking, talking and breathing resource that is so crucial to your business. 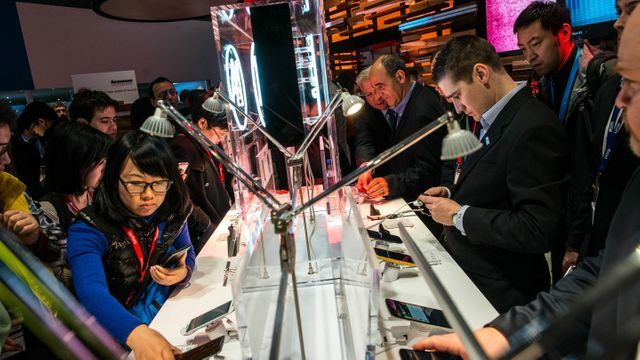 While CES (Consumer Electronics Show) in Las Vegas kicks off the tech world and lays out plans for everything from home appliances and TVs to the internet of things and wearable tech, MWC offers a more in-depth look at the mobile market. Run by the Groupe Speciale Mobile Association (GSMA), it has been the stage for the official unveiling of Microsoft’s Windows Phone 7, HTC’s virtual reality Vive system and numerous flagship handsets over the years, firmly establishing itself in the tech world’s calendar.